The first thing that I have to say about this book is that I love it! It was so well written and kept me interested the entire time. I really wanted to know how it was going to end and what was going to happen to the characters. This book has so much going on but it was so amazing! I feel like there were a lot of small conflicts rather than one big one, but I loved how well they all connected to each other. It also features the friends-to-enemies-to-lovers trope, but it was done really well. Zorie, the main character, was very oblivious/immature in the beginning which I did not really like, but by the middle of the book I think she really developed a lot. I fell in love with Zorie and Lennon, and I could not get enough of their relationship. It was so cute, and I could not wait to see where it went. Lennon was such a great character. His personality towards the other characters was so funny because he is so sarcastic, but when it came to Zorie, he was compassionate, caring, and just so sweet. I also really liked the setting of this book. I have gone camping quite a few times in the last year, so the struggles they had were struggles I could relate to. This made the story so much better for me. Also, I think that really added to the romance of it. 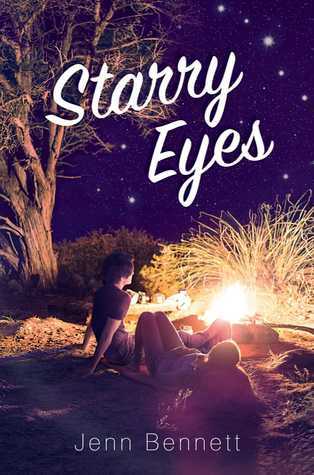 I think the synopsis does not do this book justice, because there is so much more to it than just the camping trip gone wrong aspect, but I don’t want to spoil anything. Overall, the story was just both beautiful and heartbreaking, but the ending made my heart so happy and full. I am definitely going to buy the finished copy of this book once I get a chance, and I can not wait to read the other Jenn Bennett book I own! Next Bullet Journal: April Spread! I am so happy you loved this one. I have been hearing good things about it. I still need to read Alex, Approximately by the same author!!! Thanks for this great review! I have to read that one, too!